Easy recipe for Patra Ni Machhi in your Instant Pot or Pressure Cooker. 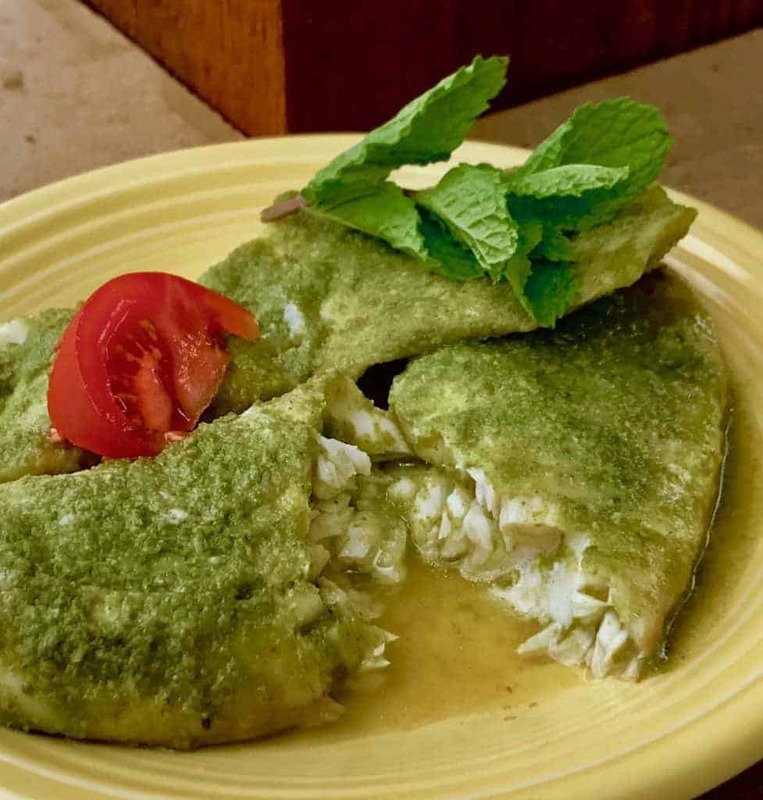 This is a classic Parsi Indian dish that’s full of flavor. Think you can’t make good seafood recipes in the Instant Pot? This steamed fish will convince you otherwise. 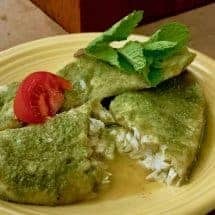 I really like two for one recipes, where you can make one thing, and either have sauce leftover like with the Butter Chicken or Korma Chicken, or this recipe, that allows you to make Green Chutney that you use as a condiment but then you use the same chutney to make flavorful and quick steamed fish. This Patra Ni Machhi is a classic Parsi dish, an often served at weddings. But it’s so easy to make, you definitely should not wait until a wedding to make it. So to make Patra Ni Machhi, first make the green chutney, and then get ready to make this simple meal. You slather the fish on both sides with the green chutney, you wrap it in parchment paper which then gets wrapped in foil. I’m sure you can skip the parchment paper and just wrap in foil if you’re not concerned about the foil touching your food. All you need is a “packet” that let’s your food steam. LOOKING FOR MORE DELICIOUS FISH RECIPES TO COOK IN YOUR INSTANT POT? CHECK OUT MY SALMON WITH ORANGE GINGER SAUCE! Easy recipe for Patra Ni Machhi in your Instant Pot or Pressure Cooker. This is a classic Parsi Indian dish that's full of flavor. Cut the larger tilapia filets in half. Cut parchment paper to fit and wrap fully over each filet. Place fish on the parchment, slather on both sides with the green chutney. Use more for a spicier dish, less for a milder version. Wrap the fish in parchment, and wrap the parchment packet with foil. Place 1.5 cup of water in your Instant Pot, put in a trivet that will raise the fish above the water, place the filets on the trivet, and pressure cook at LOW pressure for 2 minutes, using quick pressure release once done. Carefully unfold one packet, being careful of the steam, to check fish for doneness. if not quite done, either cook for another minute or close the lid let it steam with the cooker turned off, using residual heat to finish cooking. Serve with rice, naan, cauliflower rice, or something mild on the side.